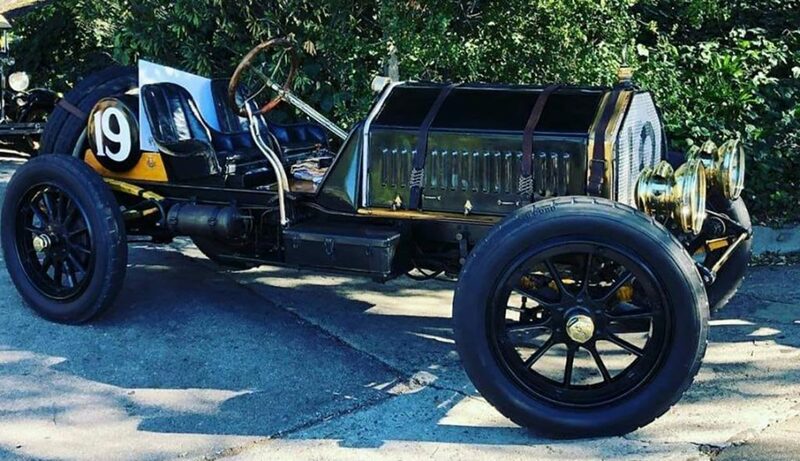 “Our 1907 Renault A1 Vanderbilt Road going Grand Prix Racer is now finished and now is the time for sorting and performing jobs that are on the punch list. We started the restoration in December (4 months ago) after going for a 5 mile drive in a car that had never been restored but was kept in a running condition for more than 105 years. The first drive was rather crude and nasty. The torque from the massive 521 cubic inch engine had loosened up 104 of the 7/16 rivets used to hold the frame members together, one broken motor mount, one broken transmission mount, and both rear trunion perches destroyed. The engine had 3 valves that had burnt faces and the rollers on the cams had 80 – 90 thousands play. The wood wheels, were loose and suspension loosy/goosy. The 15 gallon radiator was leaking and the Bronze Gas tank was full of crap. As I started out in first gear and let out the clutch, The car twisted to the right and almost threw me out the doorway. The next sensation was throwing me out the back when I gave it a little gas. Next second and third gear, the car when in these gears burns rubber at will if you do not handle the throttle with a very light touch. This was a NASTY CAR!! Next 4th gear; Once I got in 4th I could finally relax in the 50 to 60 mph range. This car needed to be tamed to be used on the road. I then did a full, complete ,absolute restoration. Every piece of every part taken apart and repaired as it was when new. Nothing of the Brewster coach built body was replaced, but all was restored. The stock wheels were rebuilt, but no wood was replaced and all metal parts were reused. The 60 year old tires were replaced with new ones from Coker Tire. The Engine now has new Valves and roller shafts and a 1913 Harry A Miller 24 Jet carb from a 1915 Peugeot Indy car. All other parts of the engine are original. The dash has a 2.5 gallon oil distribution pump, A 100 mph (1905) Jones, 1905 clock, 1906 Altimeter, 1907 Tachometer that has a full scale of 1600 rpm on its top scale, and directly under that scale is a 0 -100 mph., and Bosch ignition key. All of these are original and rebuilt as needed and work perfectly. The Car was one of the ( 10 or 11) 1907 Renault A1’s ordered by W.K Vanderbilt after he witnessed the 1906 first edition of the Le Mans Grand Prix in France. Renault won that first race with its AK race car. The A1’s were a slightly more tame version of the AK . He wanted the cars to be used as “Super Cars” by his rich friends on his new road course called the Vanderbilt Cup . All 10 or 11 cars were ordered through his friend, William Cutler Morse, an import agent for Renault.. The Car I have was the one that was built for Mr.. Morse. 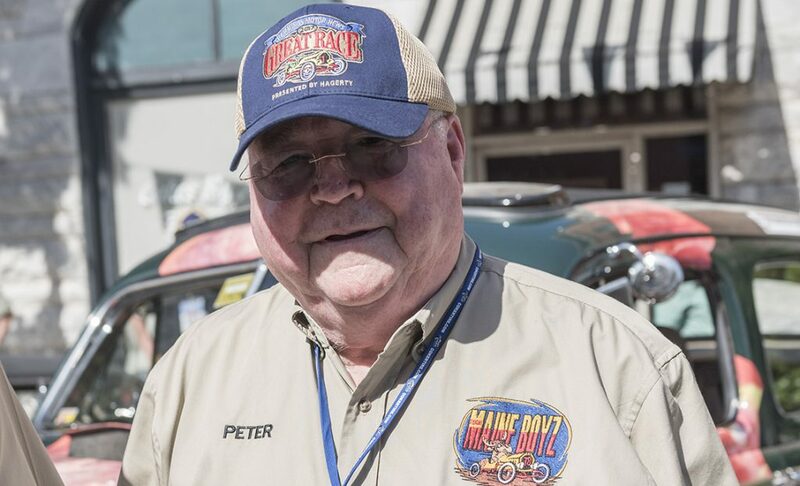 He sent the car to Brewster for a small amount of body additions and the car was acquired from his widow in the 1920’s. 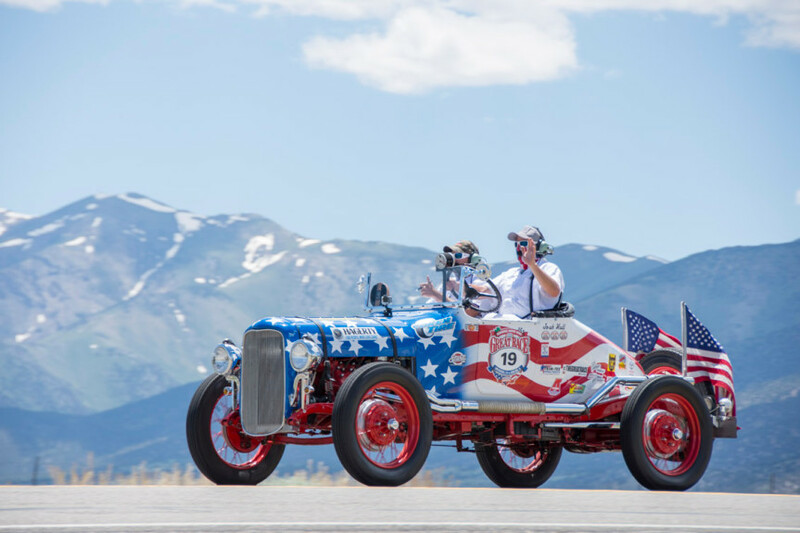 This just may be the coolest car to compete in the Great Race in a long, long time. I hope to see this car in action, maybe not until the Pikes Peak Run. It looks as good as the factory could make. You have a winner here,i’d like to be on your pit crew. Best of luck in the running. 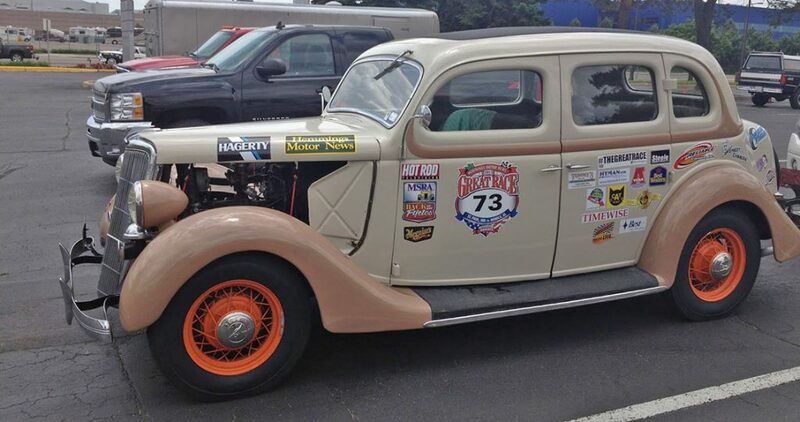 My wife (Sandra) and I really enjoyed the time you shared this past weekend with our Antique Studebaker Club. Your car was the HIT of the show, even though it is not a Studebaker. Good luck in the Great Race. We will be pulling for you. daughter. They have retired and moved to Parker, Co. Your 1907 Renault looks like a winner. Good Luck to you. Allen had l but known when we loaded the car in the trailer in vt.that such a magnificent auto would evolve from when l first it. I’m currently restoring an engine for one of these and have a few questions regarding the oiling system. I dont have the whole car, so I am trying to piece this all together. How much oil does the engine need? I just received the tank assembly, and am unsure as to how the oil gets back to the tank?